Since the labor cost is so low and the demand for Moroccan rugs is high, the competition is very strong. Thus the middlemen must focus on cutting costs further by sourcing the cheapest material possible as well. Even if this means importing synthetic material from countries such as India and China or taking a number of shortcuts during production. One example is the use of toxic chemicals to cut the time it takes to properly dye the rugs, causing allergic reactions and noxious odors. 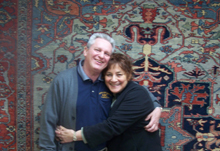 Most natural fiber rugs will shed, especially all wool-based rugs. 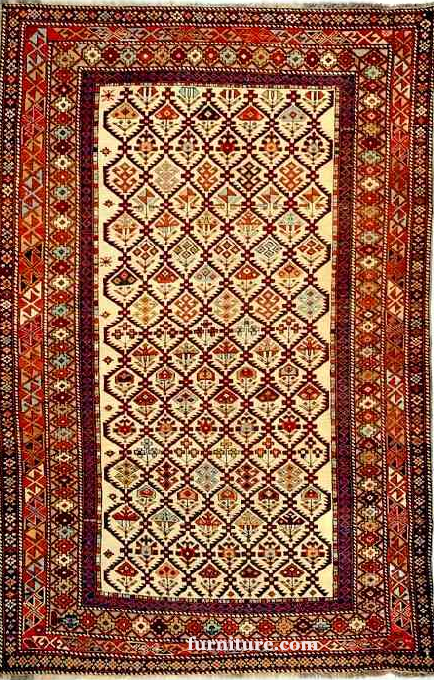 However, Moroccan rugs tend to have heavy and continuous shedding. The quality of the wool and the spinning technique used will determine how much and how long the shedding will be. 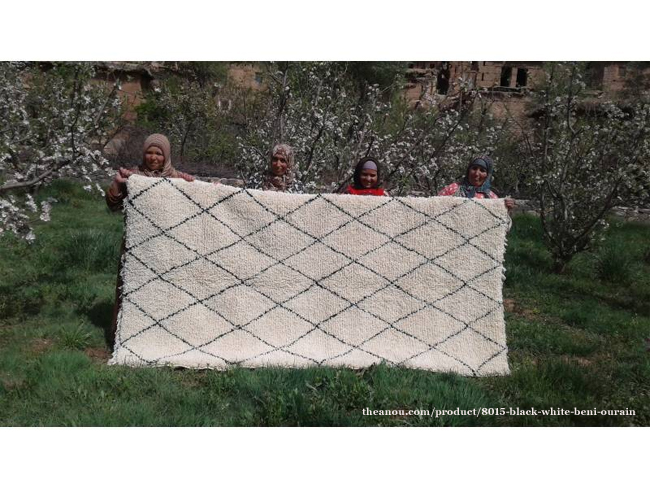 In Morocco, the wool from sheep raised in higher elevations is a stronger and higher quality wool than from sheep raised in lower elevations. As would be expected, the lower quality wool costs less so the producers will use the lower quality wool to cut corners and blend it with other fibers, natural and synthetic, in an attempt to make it stronger. A wool rug (hand-woven, not machine-tufted) with high quality yarn will shed for a few months because of short pieces left over after the shearing process. This is to be expected. The lower quality wool has minimal fiber length as well as a higher amount of hairs that can't be threaded into the wool. 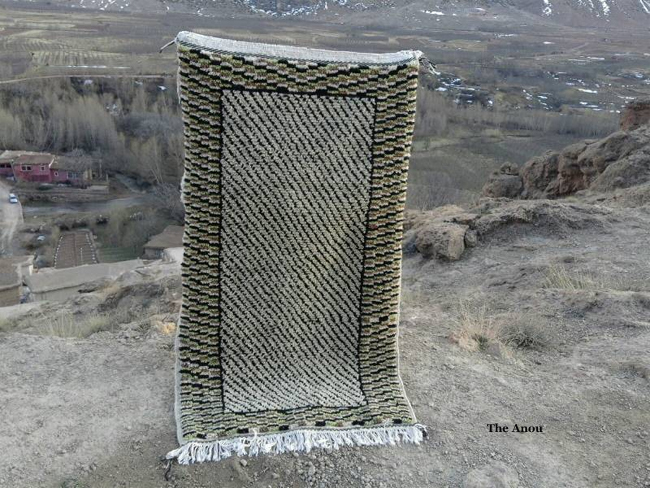 The shedding in a high quality wool will eventually stop, but because of the weakness of the poor quality wool, that rug will shed for its entire lifetime. 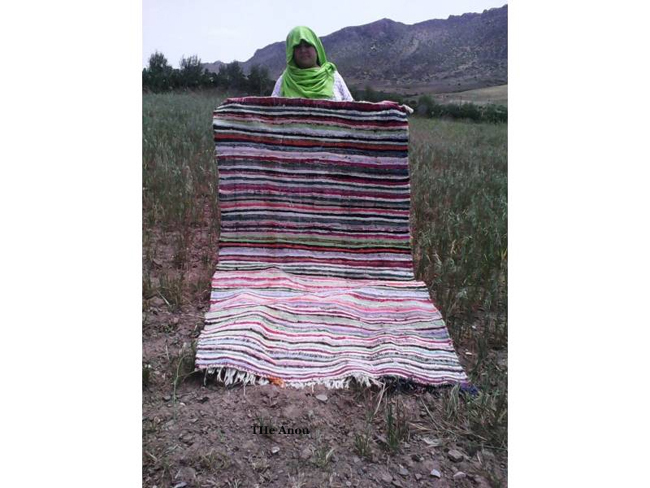 For the weaver as well as the consumer, it is really important to know the wool source of a Moroccan rug. 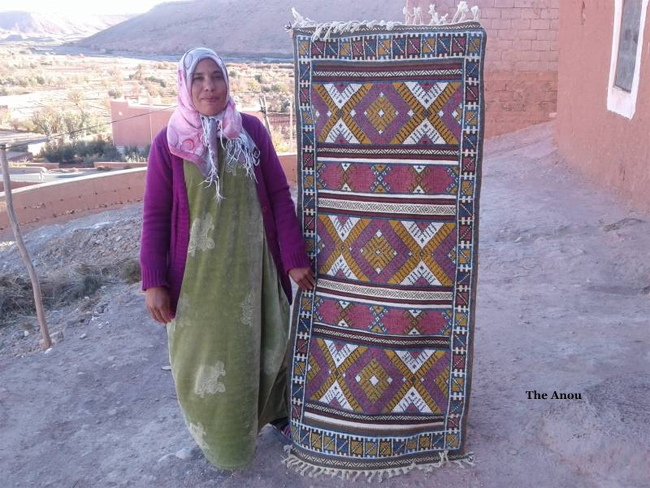 Unfortunately, the majority of rugs sold in Moroccan cities or by middlemen on line, comes from local markets. These markets often use 'dead wool' or wool chemically stripped from the hides of dead sheep. Dead wool causes shedding to the extent the rug can completely fall apart in a few months' time. If not dead wool, the markets may sell wool from Sardi sheep. The wool from these animals have a high proportion of short fibers and they don't take dyes well. Because the wool from Sardi sheep cannot be effectively mechanically spun, other fibers such as cotton, synthetics, and even plastics will be mixed in with the wool. What makes matters worse is the middlemen are not always upfront about the source of the wool. 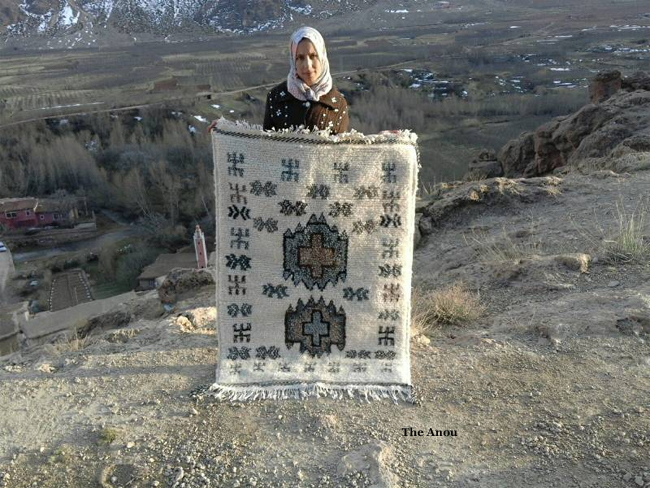 Even the weavers may not have a clear idea of where the wool used in their rugs came from. Beware also, rug production that uses shortcuts usually does not have an effective cleaning process during or post production which can lead to the possibility of a moth infestation. 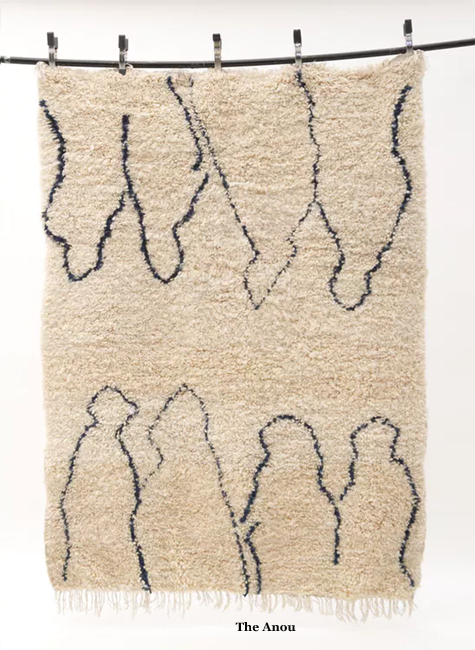 How to check for bad wool on a Moroccan rug? You can use a thumbnail to scratch the fibers to see if they easily pull apart. Dead wool will feel dry and lifeless as well. 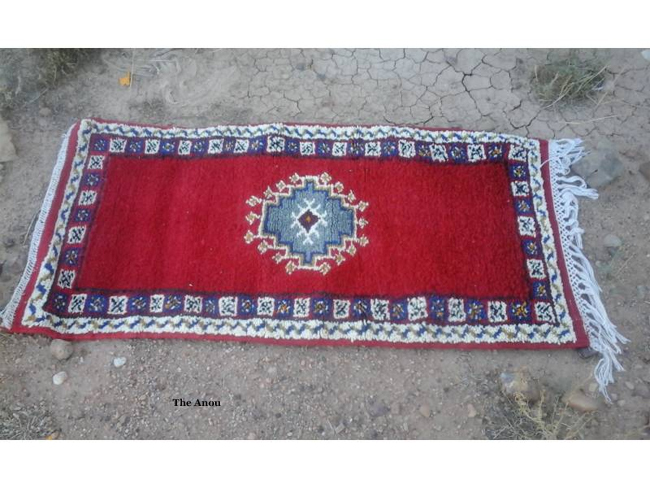 The presence of noxious odors has been a growing problem with rugs produced in Morocco. These odors can come from the chemical bleaching of the rugs to make them look and feel softer and/or the heavy, sometimes toxic chemicals used in the dyeing process. Again, this is the result of shortcuts by the middlemen. Proper dyeing of wool involves chemically bonding the dye to the wool which can take hours of work. The dyers can shortcut the process by gluing the dye to the wool rather than chemically bonding it. This requires using heavy concentrations of toxins such as formaldehyde. These toxins can affect the health of everyone involved, even the end consumer. How to check for noxious odors on a Moroccan rug? No problem. A quick sniff will immediately tell you if there is something not right. The same dyeing process that causes allergies and worse also produces a very unstable dye which is prone to bleeding. An important fact to know is wool dyed using formaldehyde may not necessarily bleed during the first washing. Thus an unscrupulous seller of the wool may tell a weaver it is safe and will not bleed and can even run a basic bleed test. Additionally, rugs with the noxious odors will sometimes also be bleeders. This is because of the chemical bleaching used by some production centers which not only results in a strong bleach odor but in extremely faded rugs on the top side. Any liquid on that side can wick up colors from the back of the rugs. 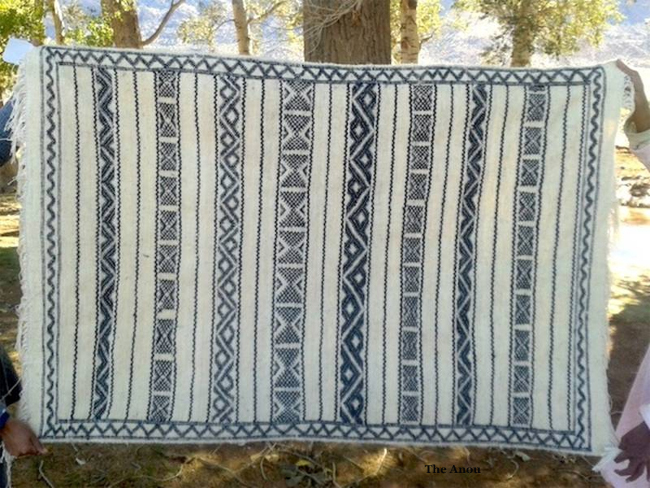 How to test for dye quality on a Moroccan rug? Although it may not work every time, take a damp handkerchief and lightly dab areas of the rug to check for dye transfer. 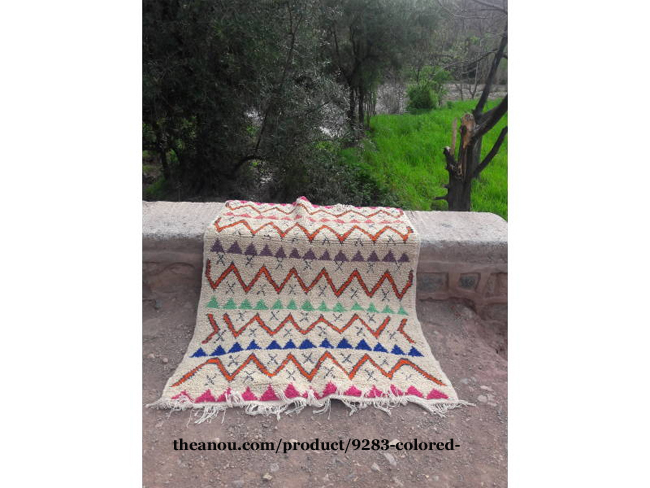 THE ANOU COOPERATIVE IS THE ANSWER TO THE MOROCCAN RUG PROBLEMS! 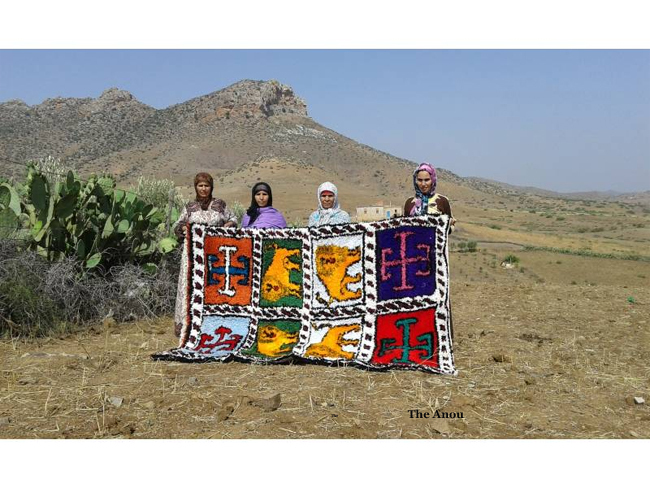 Anou is a relatively new national service cooperative, a member of a network of weaving and artisan cooperatives in Morocco. These artisans work together in order to have equal access to the free market. The artisans own and operate their cooperative and have the freedom to set their own prices. They can then sell directly to consumers worldwide through their online web store. The Anou Cooperative is the direct result of the work of Daniel Driscoll. 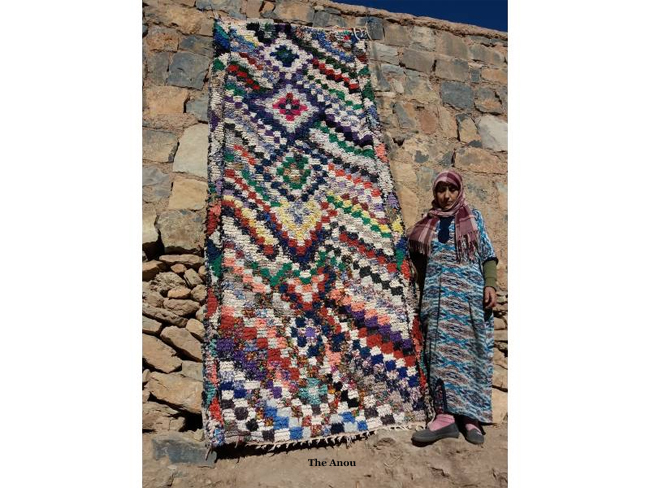 He had served as a Peace Cops volunteer working with carver artisans in the Ait Bouguemez Valley in Morocco. He became frustrated when he found out the carvers continued to be poor even after they sold their crafts to fair-trade organizations. The carvers knew they would never be able to grow unless they were able to sell their work directly to consumers without involving middlemen. Fortunately, internet technology had made its way to the area where Driscoll served. He decided to train the artisan carvers to sell their crafts on Etsy and eBay. They had tremendous success and continue to self-fund themselves in this way. 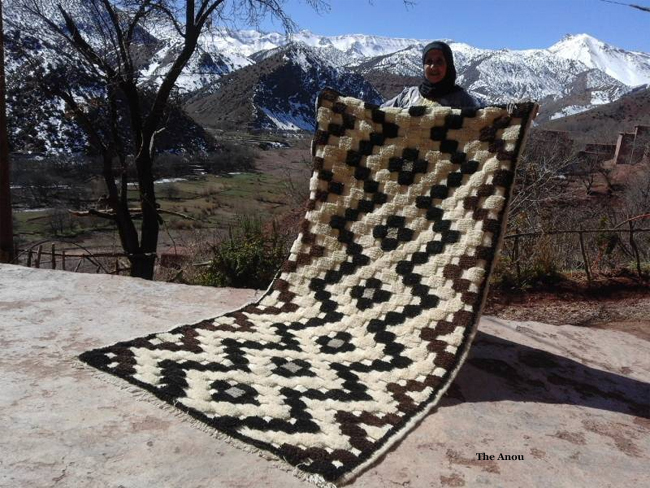 Driscoll had also done field research into the problems the weaving communities in Morocco were experiencing. He recognized a solution of the type that had worked for the carver artisans could possibly work for the weaving artisans of Morocco. 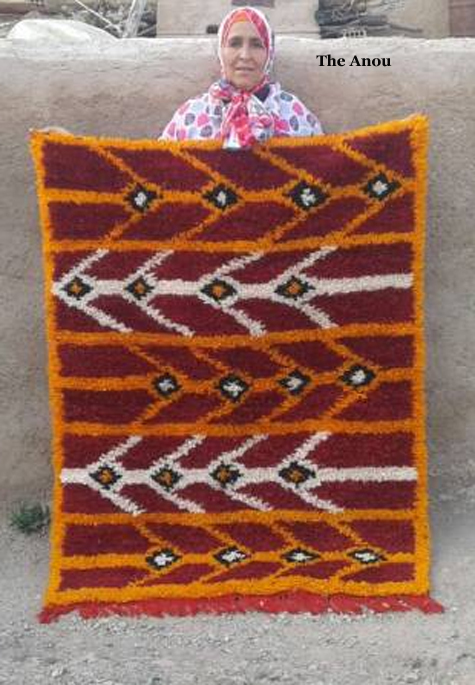 Unfortunately, many factors, among them illiteracy and geographic isolation, could prevent the majority of these weavers from benefiting from the online selling. 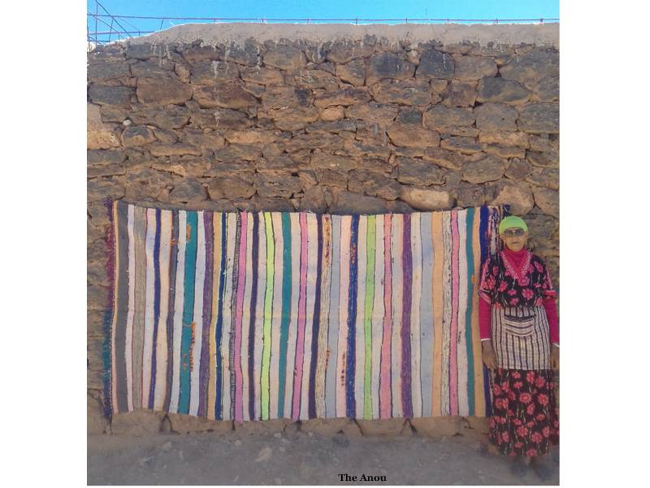 To solve these Moroccan rug problems, Dan and the president of the woodcarving association in Ait Bouguemez began building the community of Anou and its online web store. They worked long hours with the weavers and other artisans with the end result being their ability to sell their own wares in order to produce a living wage for themselves. One step at a time, Driscoll and his team have begun the change in Morocco to an artisan-based economy. 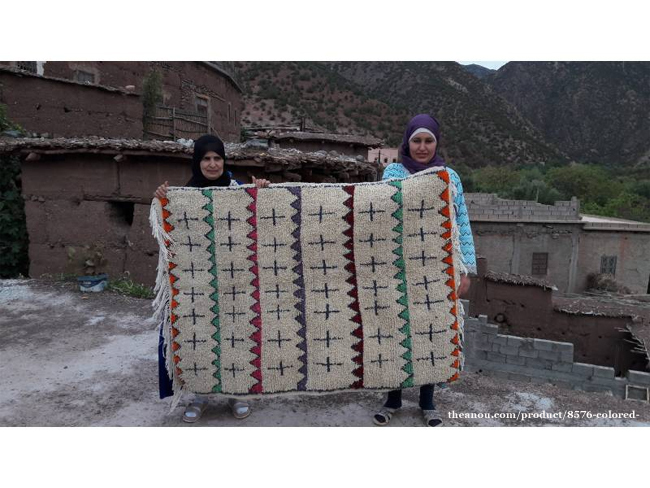 Artisans throughout Morocco who wish to join the community are asked to reach out to the Anou training team. There are strict requirements for joining. Free training is provided on using the site, how to properly photograph their products, and how to determine pricing for items. Artisans pay nothing to post their items on Anou's online store but there is a 12% fee added to each product sold to help in the maintenance of the site. 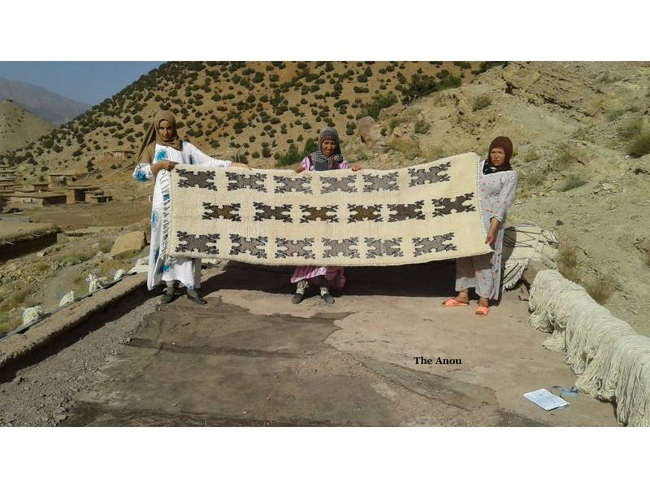 One of the most important parts of Driscoll's plan to end Moroccan rug problems was to ensure safe and high quality craft materials that could be sold at cost to the artisans of the Anou community. Since most of the artisans were weavers, wool sourcing was the first step. As a result, the Atlas wool Supply Co. was launched, an in-house material sourcing operation for the Anou community. Today, wool from the Anou headquarters is dyed in thousands of colors using premium non-toxic synthetics and locally sourced natural dyes. 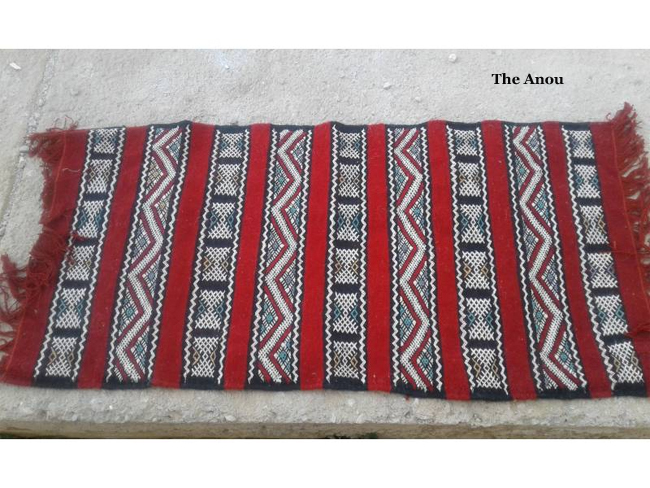 The Anou community can guarantee their materials are of high quality and free of toxins. The wool yarn is also hand spun and each thread is inspected to test its integrity and to limit shedding. 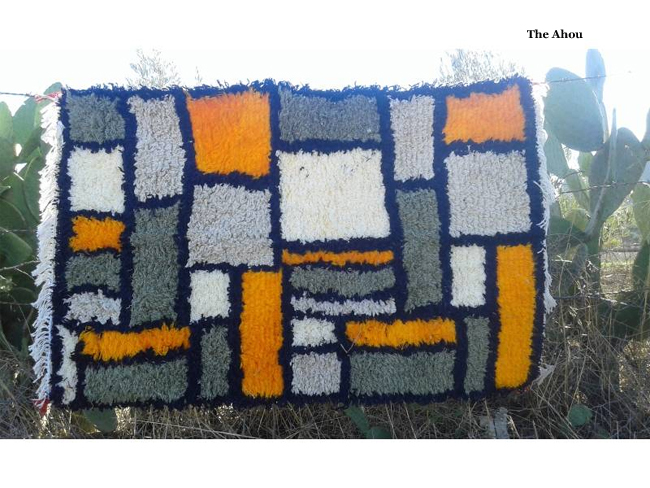 To purchase items from the Atlas Wool Supply Co, please click here. 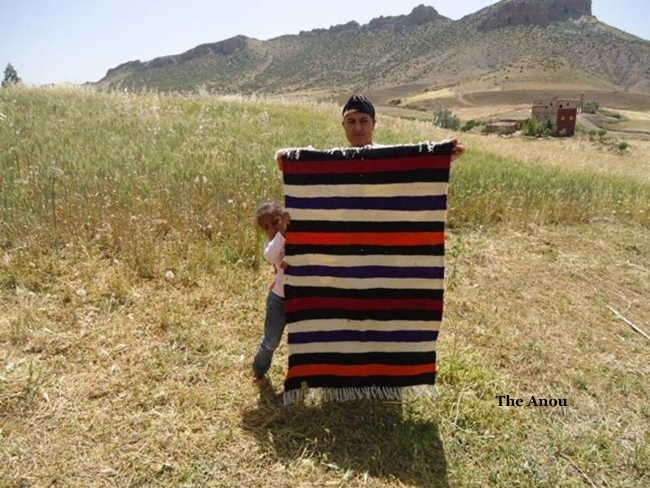 Now, as a consumer, you have a way to purchase a unique and authentic rug directly from the weaver at a fair price from the Anou community. 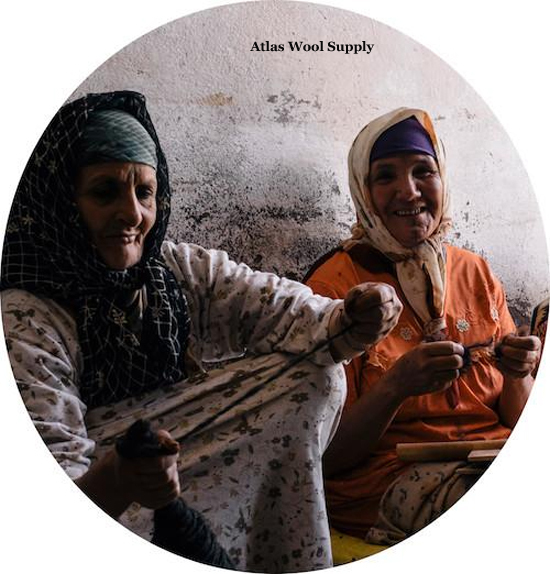 If you are a weaver yourself, you can purchase ethically sourced and sustainable wool yarns from the Atlas Wool Supply Co. 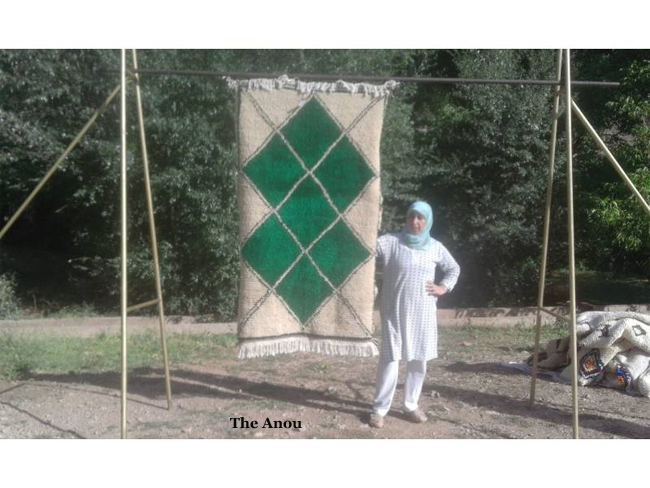 The Anou community artisans are preserving important traditional handicrafts and a cultural heritage that can be passed on from generation to generation. By your purchase, you will also be supporting and helping these local artisans to make a better life for themselves and their families. You can reach the Anou community online store here.